The Sukhoi Su-17 (NATO reporting name: Fitter) was a Soviet attack aircraft developed from the Sukhoi Su-7 fighter-bomber. It enjoyed a long career in Soviet, later Russian, service and was widely exported to Eastern Bloc and Middle Eastern air forces. Seeking to improve low-speed and takeoff/landing performance of the Su-7B fighter-bomber, in 1963 the Sukhoi OKB with input from TsAGI created a variable geometry wing technology demonstrator. The Su-7IG (internal designation S-22I, NATO designation Fitter-B), converted from a production Su-7BM, had fixed inner portions of the wing with movable outer segments which could be swept to 28°, 45°, or 62°. A fixed inner wing simplified construction, allowing the manufacturer to retain the Su-7 landing gear and avoiding the need for complex pivoting underwing hardpoints, and it minimized the shift in the center of pressure relative to the center of mass with change in wing sweep. The new wing also had extensive leading-edge slats and trailing-edge flaps. Su-7IG first flew on 2 August 1966 with V. S. Ilyushin at the controls, becoming the first Soviet variable geometry aircraft. Testing revealed that takeoff and landing speeds had decreased by 50-60 km/h (27-32 knots, 31-37 mph) compared to the conventional Su-7. The production aircraft was named Su-17 (NATO designation Fitter-C, factory designation S-32) and was unofficially dubbed Strizh (???? ?, martlet) in service. Aside from the new wing, it differed from its predecessor Su-7 in having a new canopy and a dorsal fuselage spine for additional fuel and avionics. Su-17 first flew on 1 July 1969 with E. K. Kukushev at the controls. A total of 2,867 Su-17 and its variants were built, of which 1,165 were exported to 15 nations worldwide. The Su-17 entered service with Soviet Air Force in 1970. The aircraft was extensively used by both the Soviets and the government Afghanistan forces during the Soviet invasion of Afghanistan. 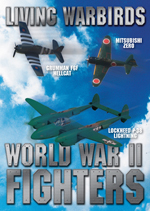 High-altitude airfields and hot dusty climate created unique operational challenges. In the summer, the takeoff roll of the Su-17 increased 1.5-fold and landings frequently ended with burst tires and brake fires. Avionics failures were common due to heat and sand contamination. However, the AL-21F engine proved tolerant of routine ingestion of sand and sand-contaminated fuel and by 1985 the combat readiness of the Su-17 fleet exceeded that of the Sukhoi Su-25 and the helicopters. The first-series Su-17s were quickly replaced with more capable Su-17M3 and Su-17M4. Despite its durability and payload, the aircraft proved ill-adapted for combat in the mountainous terrain due to high attack speeds, low maneuverability, and the need to stay out of range of anti-aircraft artillery due to lack of significant armor protection (although external armor was added around the engine, hydraulics, and fuel systems based on damage analysis, this was still insufficient compared to dedicated close air support Su-25s). The appearance of MANPADS such as the Soviet-made Strela 2 (smuggled from Egypt), the British Blowpipe missile, and the American FIM-43 Redeye and later FIM-92 Stinger, presented a new threat and forced Su-17s to even higher operational altitudes. Revised tactics and retrofit of up to 12 flare dispensers which fired automatically during the attack run proved effective, and in 1985 only one Soviet Su-17 was lost to ground fire. Forced to operate 3500-4000 m (11,500-13,000 ft) above ground, Su-17s shifted from using unguided rockets to bombs, including thermobaric weapons, while Su-25s were tasked with precision strikes. Towards the end of the war, the Su-17 force was partially replaced by the Mikoyan-Gurevich MiG-27s in order to perform operational testing of the new fighter-bomber. Throughout the war, Afghani forces utilized Su-22s, three of which were shot down while operating in the vicinity of Pakistan aerospace by Pakistani F-16 Fighting Falcons. The pilots responsible for the kills were F/L A Hameed Qadri, F/L Badr-ul-Islam and F/L Khalid Mahmood. Export variants of the Su-17 were also used in combat by Libya and Iraq. Two Libyan aircraft were shot down in the Gulf of Sidra incident by US Navy F-14 Tomcats on 19 August 1981. More were likely lost by Iraq during the Iran–Iraq War in the 1980s, and six more were destroyed by USAF aircraft in the 1991 Gulf War. In a move to eliminate single engine strike aircraft from its inventory, The Russian Air Force has retired its last Su-17M4 along with its fleet of MiG-23/27s in 1998. Around 550 remain in service with other nations. During the 1995 border war between Peru and Ecuador, two Peruvian Su-22s were shot down by Ecuadorian Mirage F-1s, killing both Peruvian pilots. Su-7BM variable geometry wing demonstrator. Limited production run based on the longer fuselage of the two-seat Su-7U trainer, with bulged dorsal spine for extra fuel (4550 L/1,200 U.S. gal total). Retained Su-7's Lyulka AL-7F-1 engine. Manufactured 1969-1973. First major production version, introduced Lyulka AL-21F-3 engine, twin pitot tubes, new navigation and attack computer (retaining Su-7BMK's SRD-5M ranging radar), angle of attack vane, single brake parachute. Variable-position intake centerbody providing maximum speed of Mach 2.1. First flight 28 December 1971 with V. S. Soloviev at the controls. The export version was designated Su-20, first flying 15 December 1972 with A. N. Isakov at the controls. Manufactured 1972-1975, entered service in 1973. Exported to Egypt, Poland, and Syria. Small number of Su-17M aircraft equipped to carry reconnaissance pods. Equivalent export version designated Su-20R. Nose extended 38 cm (15 in), deleting ranging radar and 'drooping' to improve pilot visibility. Fon-1400 laser rangefinder/marked-target seeker (LRMTS). ASP-17 and PBK-3-17s aiming avionics. RSBN-6S short-range navigation and instrument landing system. Undernose fairing for DISS-7 Doppler navigation radar. First flight 20 December 1973 with V. S. Ilyushin at the controls. Manufactured 1974-1977, entered service in 1975. Test-fit of the Tumansky/Khatchaturov R-29BS-300 engine (shared with some MiG-23s), with 112.7 kN (25,335 lbf) afterburning thrust, in a bulged rear fuselage. Due to lack of performance advantage and decreased range due to higher fuel consumption, it was decided to offer this engine as an export version only. First flight 31 January 1975 with A. N. Isakov at the controls. The export variant was designated Su-22 (factory code S-32M2K, NATO Fitter-F), manufactured 1977-1978. First two-seat trainer version, based on the Su-17M2, but with a different, deeper fuselage with windscreen moved forward; same length as the original Su-17M. Internal fuel capacity reduced and port cannon deleted, but retained full avionics and armament. First flight 15 August 1975 with V. A. Krechetov at the controls. 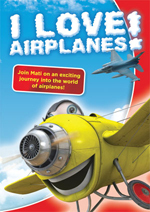 Test flights revealed longitudinal instability at high angles of attack which was remedied by enlarging the tail fin. Export version with the R-29 engine was designated Su-22U. Manufactured 1976-1978, entered service in 1976. Based on the revised airframe of the Su-17UM, but with an avionics bay and an additional fuel tank in place of the rear cockpit, increasing the internal fuel capacity to 4850 l (1,280 U.S. gal). Doppler radar moved internally, removing the fairing. 'Klen-P' laser rangefinder/target designator. A launch rail for K-13 (AA-2 'Atoll') or R-60 (AA-8 'Aphid') was added between the two existing pylons on each wing. First flight 30 June 1976 with V. A. Krechetov at the controls. Export version with the R-29 engine and downgraded avionics (equivalent to Su-17M2) was designated Su-22M (factory designation S-52K, NATO Fitter-J) and first flew on 24 May 1977 with E. S. Soloviev at the controls. An export version with Su-17M3 avionics was designated Su-22M3 (factory S-52MK). Su-17 manufactured 1976-1981, Su-22M manufactured 1978-1984. Su-17M/Su-22M/Su-22M3 was the most numerous variant with almost 1,000 built. Revised trainer with the same avionics suite as the Su-17M3. First flight 21 September 1978 with Yu. A. Yegorov at the controls. The export version was designated Su-22UM3 with R-29 engine, and Su-22UM3K with the AL-21 engine. Manufactured 1978-1982. Final production version with considerably upgraded avionics, including RSDN navigation (similar to LORAN), beacon navigation, inertial navigation, a more powerful (Klyon)'K?? ?-54' laser rangefinder, radio compass, and SPO-15LE ('Sirena') radar-warning system. Additional fuselage inlets (including ram-air inlet at the base of the fin) to improve engine-cooling air flow, fixed air intake shock cone. Many aircraft were equipped for the use of TV-guided missiles and BA-58 Vjuga pod for anti-radiation missiles. AL-21F-3 engine. Export version was designated Su-22M4 (factory S-54K). 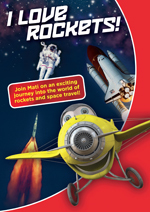 First flight 19 June 1980 with Yu. A. Yegorov at the controls. 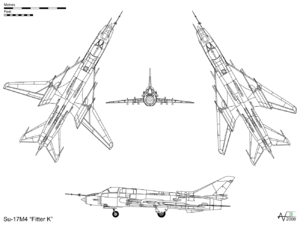 Su-17M4 was manufactured 1981-1988, Su-22M4 was manufactured 1983-1990. A Russian-French upgrade package offered for existing aircraft with modernized cockpit, HOTAS, improved avionic systems. Deletes the laser rangefinder in favor of Phazotron/Thomson-CSF 'Phathom' radar. Many in the Armenian Air Force, but the exact number is unknown. More than 70 were sent to the Afghan Air Force from 1982, including 45 Su-22M-4 delivered from 1984. The Algerian Air Force operated 32, although none remain in service. The People's Air and Air Defence Force of Angola operates 22 Su-22 variants. The Azerbaijan Air Force operates 2 Su-17. The Belarusian Air Force inherited Su-17s from the Soviet Air Force, but none remain in service. The Bulgarian Air Force operated 18 Su-22M4 and 3 Su-22UM aircraft, but none remain in service. The Czech Air Force inherited 31 Su-22M-4 and 5 Su-22UM-3K. All were retired in 2002. Czechoslovakian Air Force Su-22 (49 Su-22M-4 and 8 Su-22UM-3K in 1992) inventory was split between the Czech Republic and Slovakia in 1993. The Air Forces of the National People's Army operated the Su-22 until unification, when they were passed on to the Luftwaffe. 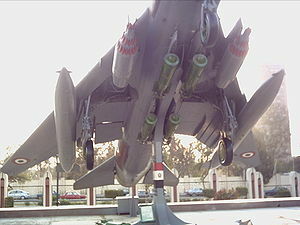 The Egyptian Air Force operated 48 of Su-20/22 aircraft, although all have been withdrawn, being replaced by F-4 Phantom II and F-16 Fighting Falcons in their role. A number of Su-22 aircraft were inherited from East Germany, although these did not serve in the Luftwaffe,but some of them have been painted with Luftwaffe color scheme for test and evaluation. 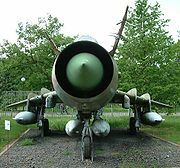 The Hungarian Air Force maintained 12 Su-22M3 and 3 Su-22UM-3 aircraft from 1983. Two single seat and one training aircraft crashed. Withdrawn from service in 1997. 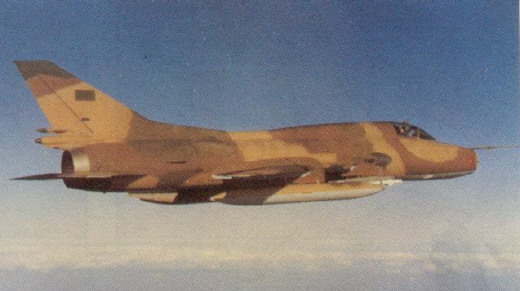 The Iraqi Air Force received a number of Su-22 models, of which some were taken by Iran in 1991. None survived the 2003 invasion of Iraq by the United States. The Islamic Republic of Iran Air Force operated a number of various Su-20 and Su-22 aircraft through the 1980s and 1990s, including examples flown to Iran from Iraq in 1991. While apparently non-operational, many remain in reserve or stored status. The Libyan Air Force operated as many as 90 Su-22, with around 40 Su-22M3 and Su-22UM3K aircraft currently in service. As many as 30 may remain operational with the Korean People's Army Air Force. The Air Force of Peru acquired 35 Su-22M, Su-22M3, and Su-22UM3, with as many as 20 remaining on inventory, though operational status is uncertain. The Polish Air Force remains a major operator, with 48 Su-22M4K and Su-22UM3K aircraft in service of 137 delivered. All Polish Su-22 will be retired before 2012. The Russian Air Force inherited significant numbers of Soviet Su-17 aircraft, but has withdrawn the type from service. The Air and Air Defense Forces inherited 18 Su-22M-4 and 3 Su-22UM-3K aircraft from Czechoslovakia in 1993, with current status uncertain. Soviet Union Su-22s were split between post-USSR countries. 60 Su-22 aircraft serve with the Syrian Air Force. A number of Su-17 aircraft were inherited by the Military of Turkmenistan, but current status is unknown. Ukrainian Air Force. 40 Su-17 aircraft were inherited from the Soviet Union and are now retired from service. A number of Su-17 aircraft were inherited by the Military of Uzbekistan, but current status is unknown. 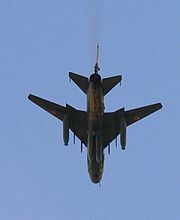 Around 60 Su-22M4 examples serve with the Vietnam People's Air Force. 50 Su-22 have served with the Yemen Air Force, with a number remaining active. 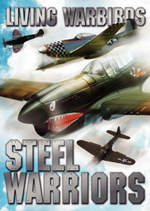 - Up to 4000 kg (8,820 lb) on ten hardpoints (three under the fixed portion of each wing, four on the fuselage sides), including free-fall bombs, rocket pods, cluster bombs, SPPU-22-01 cannon pods with traversable barrels, ECM pods, napalm tanks, and nuclear weapons. Current aircraft compatible with Kh-23 (AS-7 'Kerry'), Kh-25 (AS-10 'Karen'), Kh-29 (AS-14 'Kedge'), and Kh-58 (AS-11 'Kilter') guided missiles as well as electro-optical and laser-guided bombs.